"Frostfire: I. Bright and Fast"
The La Moine Brass Quintet was formed in 1992, becoming the resident faculty brass quintet of the School of Music of Western Illinois University the following year. Quintet members include Bruce Briney, trumpet; Jena Gardner, horn; John Mindeman, trombone; and Terry Solomonson, tuba. These WIU faculty musicians bring together performance experience in over 25 professional orchestras in North, Central, and South America. Each year the ensemble also includes a graduate assistant in trumpet. First-year Master's degree student Mark Lipinski currently completes the group. 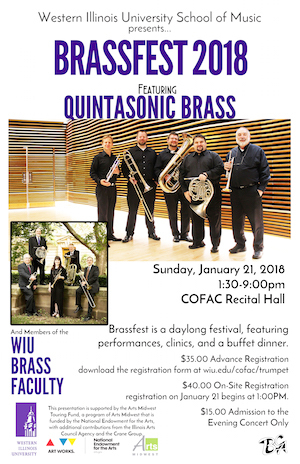 The quintet presents concerts as part of the WIU School of Music's Faculty Chamber Music Series every year and has given the world premiere of a number of original compositions and arrangements for brass quintet. 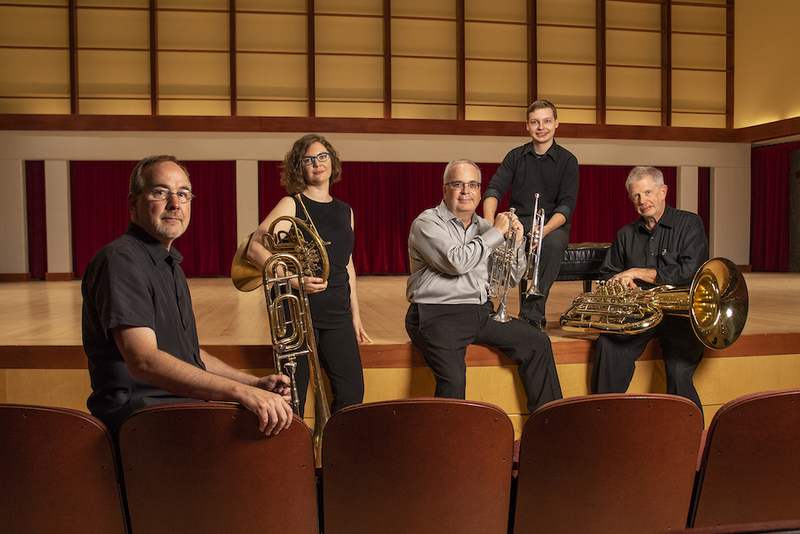 The members also host the oldest Brassfest in the country, welcoming groups such as the Boston Brass, the American Brass Quintet, the Dallas Brass, and the Louisville Brass Quintet as well as individual artists from the Chicago Symphony Orchestra.